Cross-country skiing in the Adirondacks is awesome. We have hundreds of miles of great backcountry trails, but if you want groomed trails, rentals, lessons, and more check out our cross-country ski centers! For over 35 years, Mt. Van Hoevenberg has been a world class cross-country skiing destination. Van Hoevenberg served as the cross-country mountain for the 1980 Winter Olympics and continues to be an Olympic training site, as well as a world class cross-country destination for individuals and families. You'll find kilometers of beautifully groomed trails for all skill levels. Step into a pair of skis or snowshoes and explore everything Mt. Van Hoevenberg has to offer! 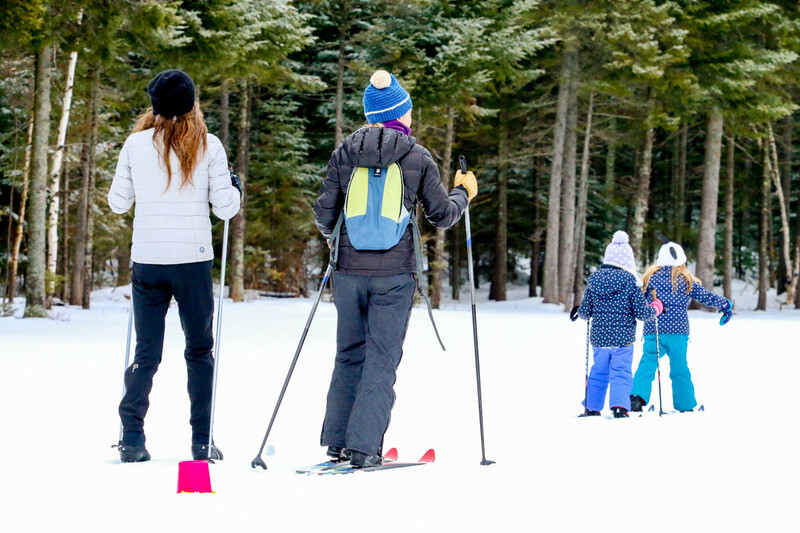 Lapland Lake XC Ski Center is a family friendly, full service cross-country ski and snowshoe center in the southern Adirondacks. 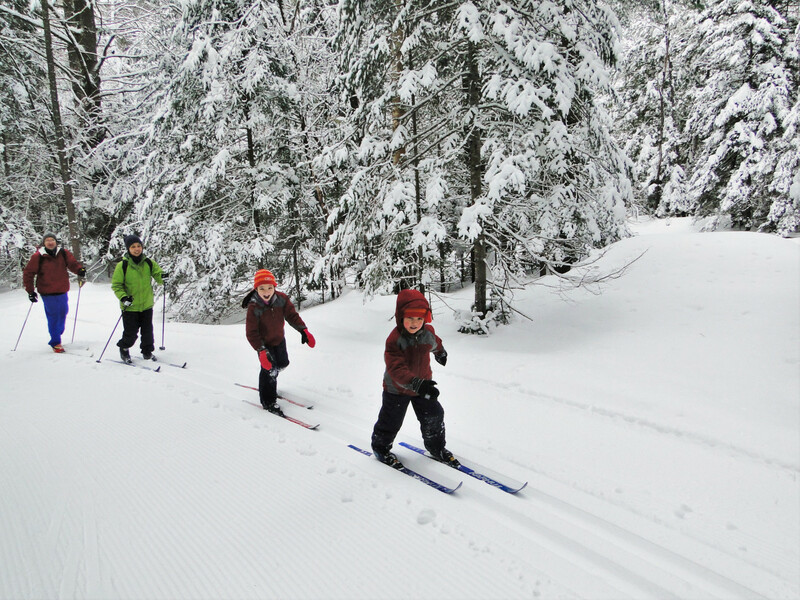 Ski trails ranging from beginner to expert are meticulously groomed for both classic and skate skiing, and separate ungroomed snowshoe trails provide a scenic wilderness experience. Day guest amenities include professionally led ski lessons and a two story warming lodge with a rental/retail shop and food service. 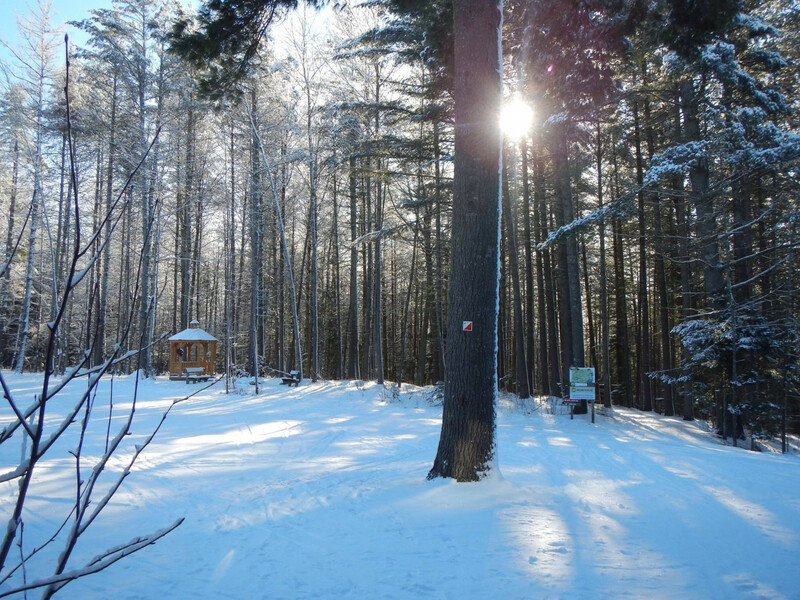 Overnight guests stay in cabins with fully equipped kitchens, and enjoy the Finnish wood burning sauna and night skiing on lighted trail sections. 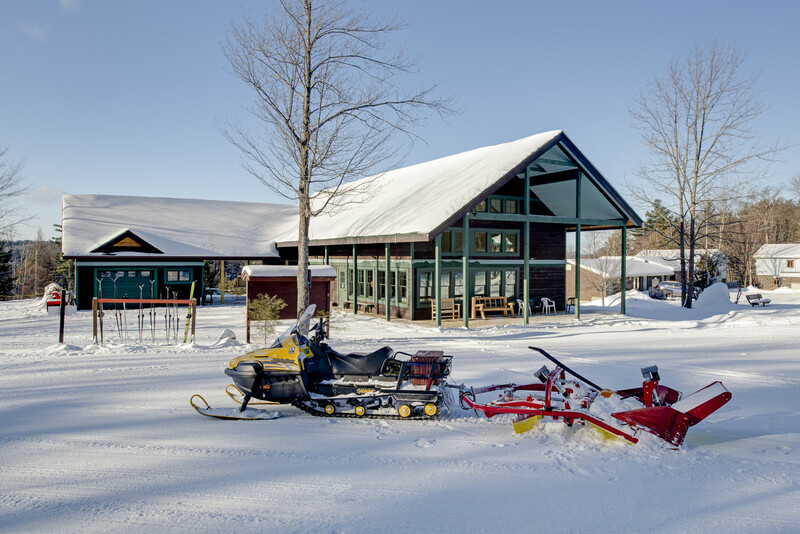 Cascade X-C Ski Center is Lake Placid's full service cross-country ski center, featuring 20 km of groomed trails and a complete Nordic shop with the region's largest selection of touring and backcountry skis and gear. Knickers bar and restaurant serves Nordic and locally sourced lunches and drinks in the lodge's Great Room, which overlooks the beautiful McIntyre Range. Visit for a legendary full moon ski party or stay in their trail-side bunkhouse — it has lodging for up to 30 guests. 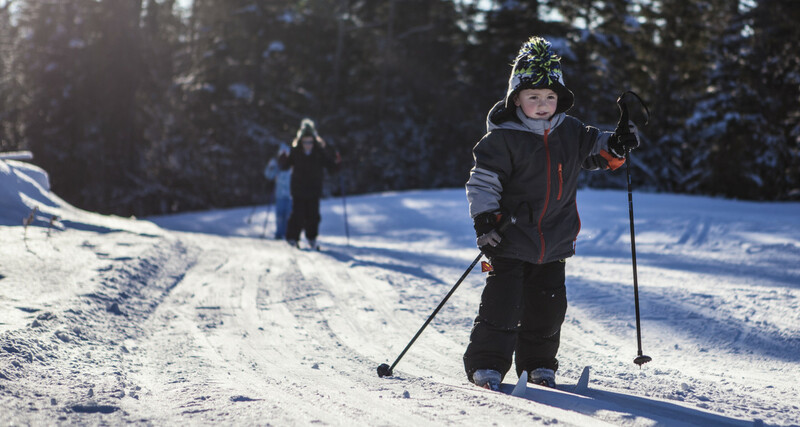 Come enjoy a family friendly winter destination that offers ski and snowshoe fun for everyone! Located just outside the village of Saranac Lake, the town of Harrietstown's Dewey Mountain Recreation Center has groomed ski trails for both skate and classic skiing, as well as ungroomed trails that ascend the mountain, revealing views of the surrounding peaks and waterways. Snowshoe trails also wander their way from the east and west sides of the ski center, offering a short but challenging climb to Dewey’s summit. Dewey's new lodge is large, open, and comfortable, and contains a waxing room and kitchenette that are available for public use. The Paul Smith's College VIC has 25 miles of trails. In the winter they groom designated cross-country ski trails and also have designated snowshoe trails. The trails go through a variety of habitats along gently rolling, moderate terrain, although some sections are rated for more advanced skiers. Fern Park Recreation Area is a multi-use trail system in Inlet. The system has nearly 20 miles of marked and groomed trails ranging from beginner to expert, skate to classic. Like night skiing? Ski into the evening hours with 1.25 miles of lighted trails. In the winter, the Tupper Lake Golf Course turns into the Tupper Lake Groomed XC Ski Center. The well maintained trails are perfect for skiers of all abilities, and they’re also dog friendly! Throughout the winter the trails are also the site of several events, including the annual Brew-Ski. Complete the information below and you will be automatically entered for a chance to win. Drawing will be held March 15, 2019.